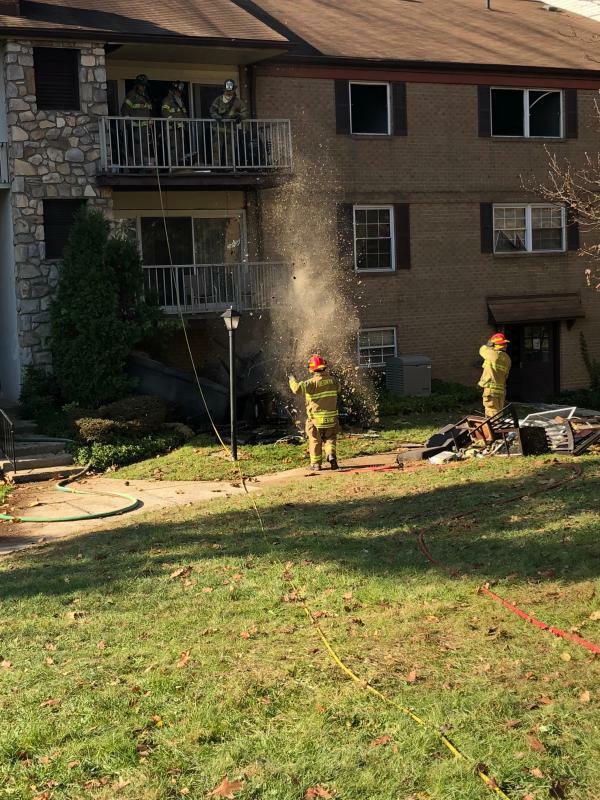 TREDYFFRIN TWP., PA - The Radnor Fire Company was dispatched to provide mutual aid to Berwyn Fire Company at 8:11 a.m., Wednesday, to the 100 block of Drummers Lane at the Glenhardie Condominiums – Franklin Building in Tredyffrin Township for an automatic fire alarm. The incident was upgraded to a building fire response at 8:09 a.m. following a 9-1-1 report of smoke on the 3rd floor. 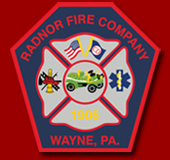 In addition to Radnor FThe upgrade from Berwyn Fire Company brought automatic mutual aid resources from the King of Prussia Volunteer Fire Company, Valley Forge Volunteer Fire Company and Lafayette Ambulance. First arriving Berwyn Fire Company personnel were met with smoke showing from the 3rd floor and roof of a 3-story apartment building. 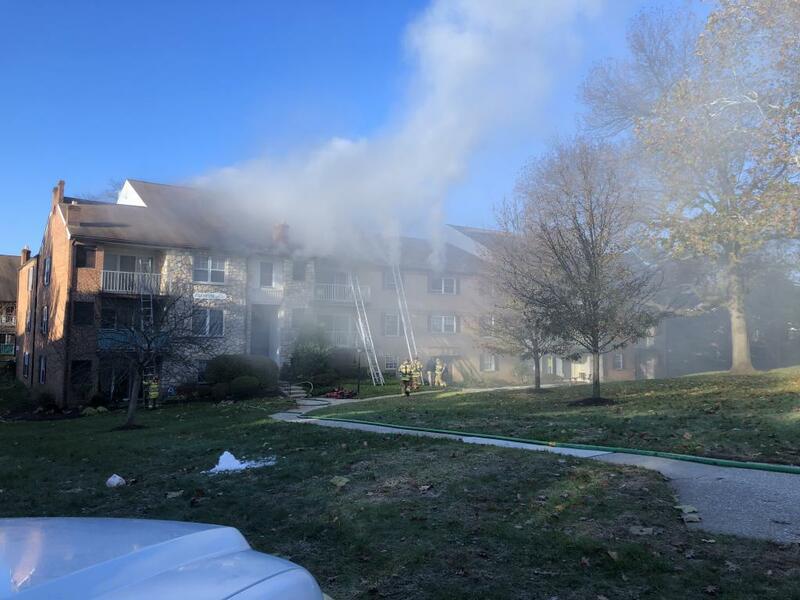 The crews of Berwyn Engine 2-1 and King of Prussia Engine 47-1 began to extinguish the flames, while additional personnel with Berwyn Tower 2 and Radnor Quint 15 worked in tandem performing various tasks. This included cutting a ventilation hole in the roof to remove heat and smoke from the structure. Firefighters from the Paoli Fire Company, Newtown Square Fire Company, East Whiteland Fire Company and Kimberton Fire Department also assisted at the scene. The Tredyffrin Township Police Department assisted with evacuating residents from the 1st and 2nd floors of the building. They also provided overall incident support and scene control throughout the incident. The fire was declared under control at 8:42 a.m. by Berwyn Chief Eamon Brazunas. The Chester County Fire Marshal's Office investigated and ruled the fire accidental. The total fire loss is estimated at $300,000. All fire/EMS units cleared the scene by 11:30 a.m.
A resident was transported by Berwyn EMS to Paoli Hospital to be evaluated for smoke inhalation. There were no reported first responder injuries incurred during the response. PECO gas and electric responded to ensure the utilities were turned off, while the American Red Cross assisted with temporary housing and other needs of those displaced by the fire.